Long before she toured the globe as a member of the multi-platinum country trio Lady Antebellum, Hillary Scott sang her very first songs with a different group of musicians: her family. There was no shortage of talent in the Scott household. Hillary's mother is Grammy-winning country star Linda Davis, while her father is hit songwriter Lang Scott. Her teenage sister, Rylee, is a budding vocalist in her own right. Whether the Scotts were harmonizing around the family piano or singing old hymns in church, they were often making music together, laying the foundation for a singing career that would eventually take Hillary around the world with Lady Antebellum. After the passing of her grandfather in 2011, Hillary alongside her family, leaned on their faith and music as a source of hope through the difficult time. The Scott family yearned to thank loved ones for their support and set out to record demos of family-favorite hymns. 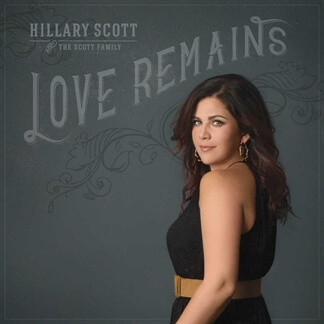 As the summer of 2015 wound down and Lady Antebellum soaked-in time off the road, the family's plans for a five song CD as a gift to family and friends, blossomed into what is now Hillary Scott & The Scott Family’s debut, LOVE REMAINS. Hillary Scott, from the multi-platinum country music trio Lady Antebellum, recently collaborated with her mother, father, and sister on a personal project initially designed to thank friends and family for their support after the passing of her grandfather in 2011 and the project eventually blossomed into a full-length Christian album called Love Remains. This 13-track collection of faith-based songs speak of the redemption in struggle, the peace we have in our hope to come, and the joy in bonding with family members whenever times are tough. 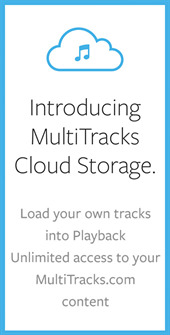 Many of you have requested the album's lead single "Thy Will" and we now have the original master MultiTracks available. 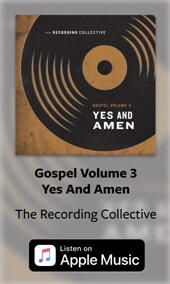 "Thy Will" won Best Contemporary Christian Music Performance/Song this year at the 59th Annual GRAMMY Awards. It's a song that is certain to resonate with many as it questions why difficult things happen but recognizes that God is trustworthy and sovereign through it all. Hillary shares, "I wrote this song about a very recent experience that left me heartbroken, asking why, and facing some of my most difficult days. This song is my letter to God. As I ask some really hard questions, I hold onto the truth that there is so much to the story of my life that I can’t see, but that I still choose to trust Him.” Pick up your copy of "Thy Will" today, now available on both iTunes and MultiTracks.com.